Do you love Rip Van Winkle Coffee almost as much as its sites and amenities? Then this basket is the perfect gift! 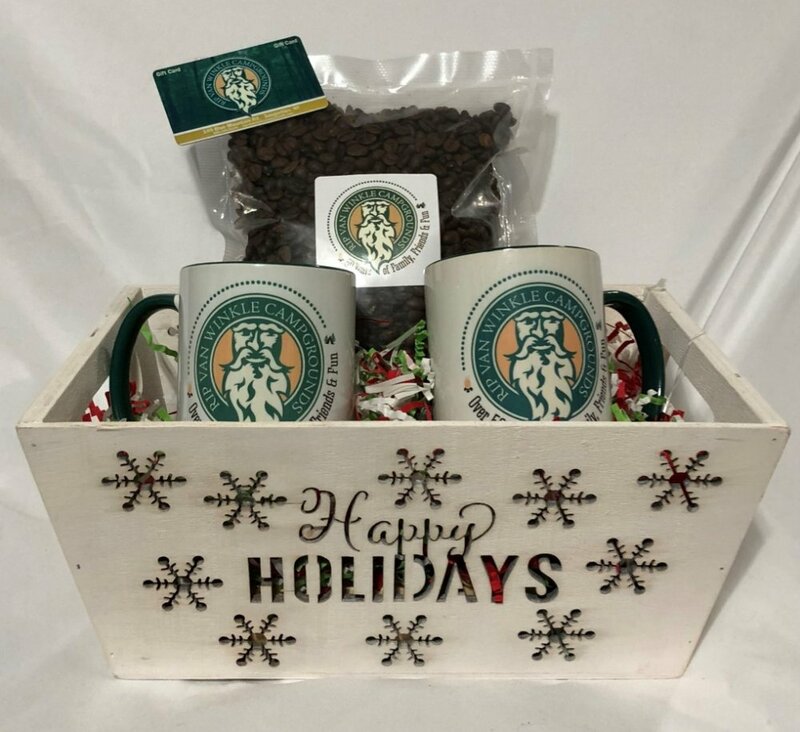 You get a sturdy and attractive wooden basket decorated with a seasonal theme filled with 1lb of RVW coffee beans, 2 coffee mugs, and a $50.00 RVW gift card. A perfect way to introduce someone to the rip van winkle campground experience or welcome them back.